TVERC has developed a new, spatial, approach to biodiversity action planning in Berkshire and Oxfordshire. This approach is supported by ‘Biodiversity 2020: A strategy for England’s wildlife and ecosystem services’. 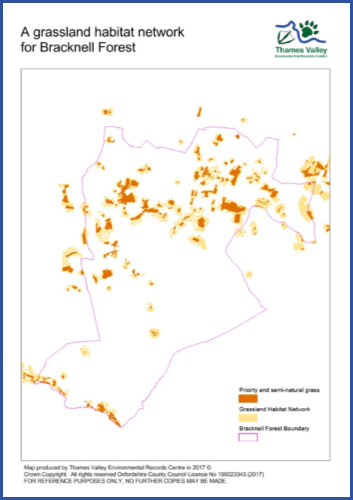 TVERC has identified two types of ecological networks in Berkshire and Oxfordshire; Opportunity Networks and Habitat Networks. 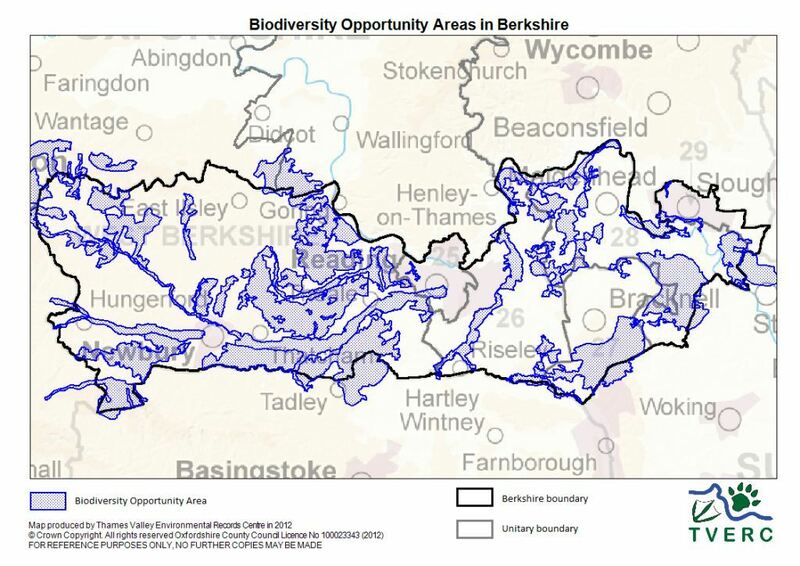 These are called Biodiversity Opportunity Areas (BOAs) in Berkshire and Conservation Target Areas (CTAs) in Oxfordshire. See the maps below for the general locations of these. BOAs and CTAs identify where the main biodiversity hotspots are at a county-scale and therefore where conservation efforts can be most effective. Their aim is to restore biodiversity at a landscape-scale through the maintenance, restoration and creation of Priority Habitats. Three habitat networks have been identified; for woodlands, grasslands and wetlands. Each network describes the degree to which different patches of the same habitat are connected to each other, either physically or functionally. These show which areas are required for wildlife to move through the landscape and where there are ‘blockages’ to this movement, or gaps in the network. See map below. In order to plan strategically and maximise benefits from development it is necessary to understand where there are existing habitat networks. Contact TVERC for more detailed information.